There are more than 180 species of woodpeckers in the world, all of which belong to the family Picidae. Woodpeckers’ famous moniker comes from its characteristic pecking on the trunks of trees, a behavior that helps it locate insects that live in the tree bark. The woodpecker also pecks out cavities to use for nesting. Woodpeckers are found on every continent in the world except for Oceania like Australia and New Zealand. Interestingly, the woodpecker is endowed with bristle-like feathers that shields its nostrils from wood particles so that it doesn’t inhale any debris as it pecks. 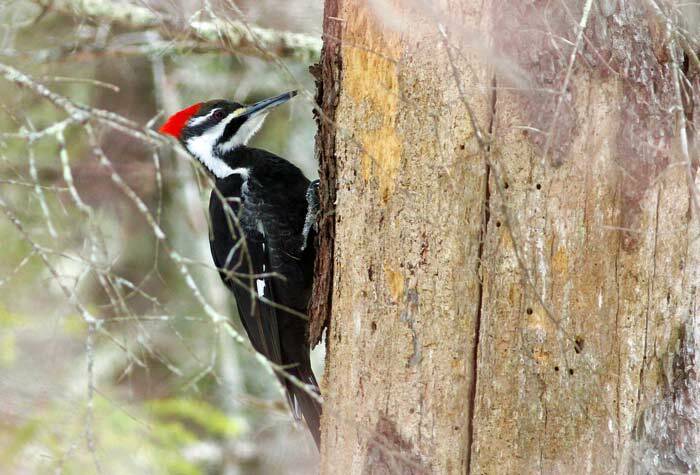 Woodpeckers peck an average of 8,000 to 12,000 times daily.